If you are looking for a large, powerful dog, but you also want an animal that is unique, one of the rare mastiff dog breeds may be exactly what you are looking for. Learn about some of the rarest Mastiffs of all. The Andronicus Mastiff is a bit of a mystery, and there are very few facts known about it. 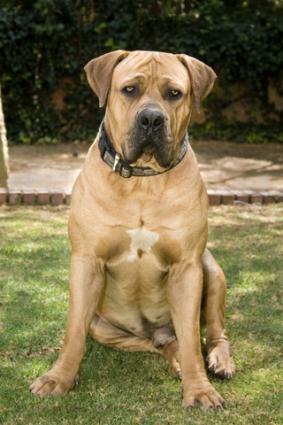 According to Molosser Dogs.com, this rare Mastiff was developed by Cary Mejia of California. Mejia has kept secret about the breeds used to develop the Andronicus, but interested parties speculate that the following dogs were used as the foundation for the Andronicus. Since so many breeds have possibly contributed to the Andronicus' genetic makeup, there's a lack of uniformity in their appearance. Some look like super-sized American Staffordshires, while others have a more traditional Mastiff look. The one aspect they all have in common is that they are powerfully built and have strong jaws. Mejia provides an extensive gallery you can view on his website. He does state that males typically weigh between 100 and 140 pounds, while females are a little smaller at 80 to 110 pounds. An Adronicus Mastiff was featured in the movie, The Hulk. This raised awareness of this dog's existence and created some demand for puppies. Currently, Mejia sells puppies for a minimum of $2,500.00, and only male pups are made available to the public. Mejia keeps all the females for the breeding program, and states that if anyone else tries to sell you an Andronicus, it's not the real thing. With all the hype that surrounds this Mastiff, it will be interesting to see what becomes of it in the future. Perhaps one day it will achieve full-breed status, but for now, it is simply one more designer breed. Unlike the Andronicus, the Tibetan Mastiff is a full-fledged breed after gaining recognition from the American Kennel Club (AKC) in 2006. Even though that recognition is relatively recent, the breed dates back as far as 1100 B.C. China. These dogs were developed primarily to guard their families. Since this breed is so rare, locating a breeder can be a challenge. 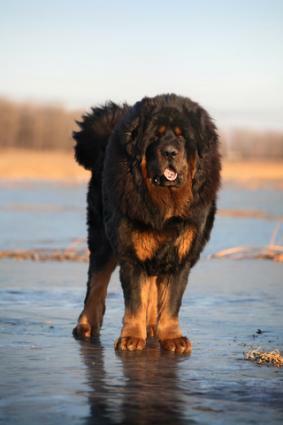 To find a list of reputable breeders, visit the American Tibetan Mastiff Association. 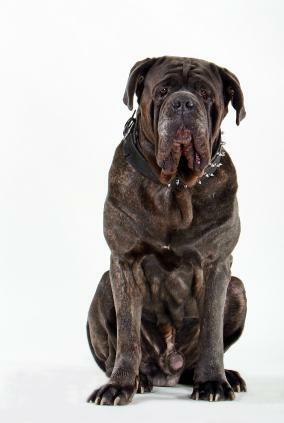 The Neapolitan is another rare Mastiff that is ancient in origin, but was only recently recognized by the AKC in 2004. The breed traces its lineage back to the Roman dogs of war. Its intimidating looks were specifically designed to enhance its guard dog status. Today, the Neapolitan is a quiet family dog that doesn't bark unless it seems necessary, but it still makes an outstanding guardian. Sometimes people take on one of these dogs without fully realizing what they're getting into. If you're interested in finding a Neapolitan companion, consider visiting Neo Rescue Inc.org. 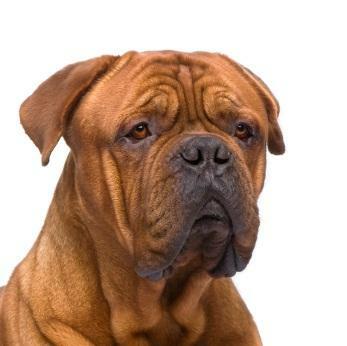 Little is known about the origins of the Dogue de Bordeaux, aka French Mastiff, but this dog has long been used to perform a variety of tasks, including herding flocks, hunting boars and acting as a guard dog. The breed was officially recognized by the AKC in 2008. Contact the Dogue de Bordeaux Society for breeder referrals. The organization also offers rescue opportunities. 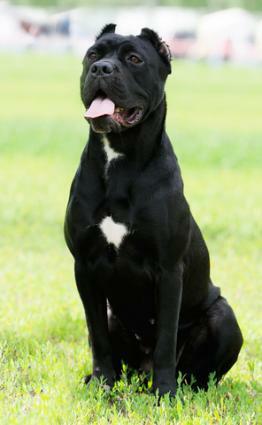 The Cane Corso is an ancient Italian Mastiff that is highly intelligent and easily trained. It was once used mostly for the protection of the farm and livestock. 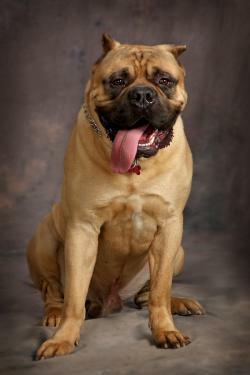 It is a little smaller than some of the other Mastiffs, and is well known for its agility and speed. This Mastiff was officially recognized by the AKC in 2010. It's unlikely you'll find puppies of this breed listed in your local newspaper. 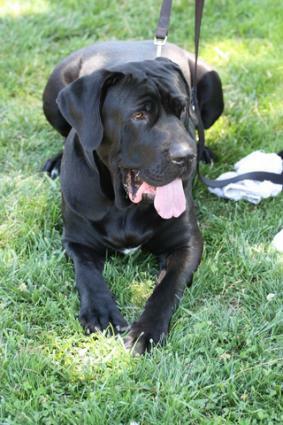 Visit the Cane Corso Association of America for breeder referrals. These two Mastiffs may, in fact, be variations of the same breed and some of the rarest Mastiffs of all. Alangu is the name they mainly go by in India, where it is believed they originated, while Bully Kutta is the name given to them in neighboring Pakistan. These dogs have ancient roots, and they may even have been used as dogs of war by Alexander the Great who is believed to have brought them into Pakistan. What is known for certain is that they have been used as hunters and guard dogs for centuries. They have even been used as fighting dogs due to their great strength and naturally aggressive nature. The Alangu looks quite similar to a typical Mastiff. It's powerfully built with a massive, squared head and incredibly fearsome-looking jaws. The overall impression of this dog is that it looks majestic and intimidating. 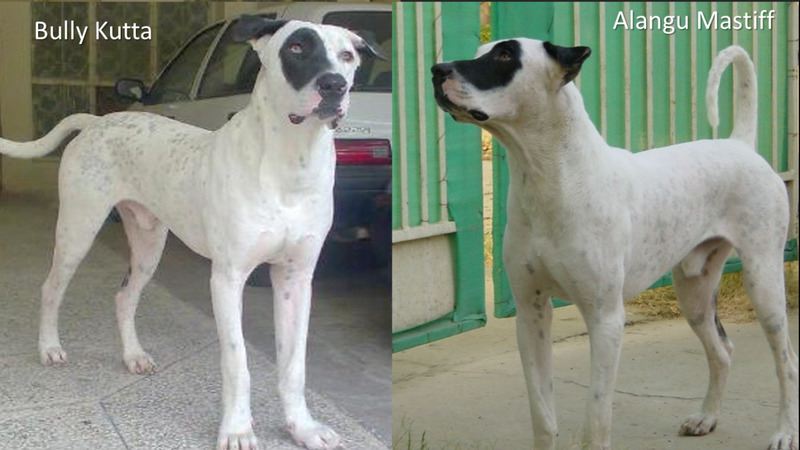 Images of these dogs are difficult to come by, but here are photos of an Alangu and a Bully Kutta. The Boerboel is a very agile Mastiff type dog that was developed to be a general-purpose farm dog in South Africa. Due to the harsh conditions, only the strongest dogs survived and became part of the breeding pool. As a result, these dogs are quite hardy. One of their primary jobs was to protect livestock from predators, and they still perform that job today. According to the American Kennel Club breed standard, Boerboels should display the following physical characteristics. The availability of Boerboels is fairly limited. To locate breeders, visit the American Boerboel Club website and use the contact info at the bottom of any page. The Tosa Inu was bred by the Japanese as a fighting dog. It is an extremely quiet breed because the rules in Japanese dog fighting called for silence. Due to this background, this dog should only be handled by an experienced Mastiff owner who can provide strong leadership. Tosa Inus need a lot of early socialization and training if they are going to become family pets. LoveToKnow does not endorse any breeder, and you should thoroughly check any breeder you plan to do business with. Matsu Kennel and Tosa House are two examples of kennels that raise Tosas. The Presa Canario, as it is commonly referred to, was developed in the Canary Islands sometime during the 1800s. These dogs worked hard guarding livestock against predators, and they also helped catch and hold livestock. Unfortunately, some were also used as fighters. The breed went into serious decline for a time, but breeders began working diligently in the 1970s preserve it. These dogs need very strong leadership from their owners to become good household companions. Visit the UPPCC website for a list of registered breeders and available puppies. 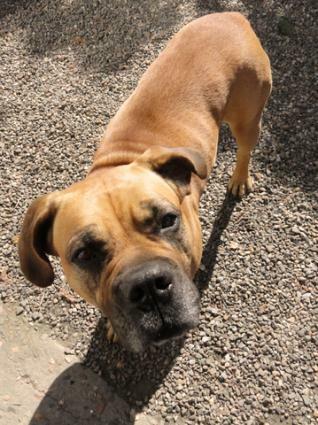 Are You the Right Person for a Rare Mastiff? Rare Mastiffs, like all Mastiffs, require a good deal of space and a handler who has working experience with large dogs. These huge dogs need to be socialized when they are young puppies to circumvent any problems later when the dog is large and more difficult to handle. Like other rare breeds, these unusual Mastiffs will command top prices. 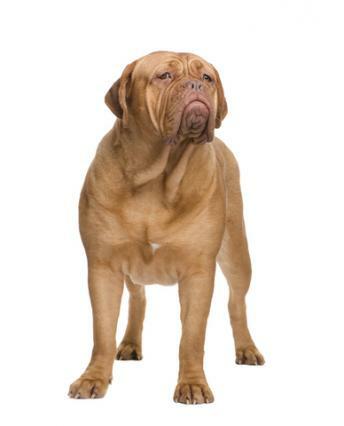 If you are planning on getting a Mastiff, be sure to learn all you can about the particular breed you're interested in. Before making a final decision, talk to the breeder to make sure that this type of dog is a good fit for your lifestyle.